The VSOP Rémy Martin is a classic and the cognac houses bestseller. It comes in a 70 cl bottle, at 40% ABV, there are also other bottle formats, such as the 3 litre bottle. Often the bottle labels change, lots of different special editions exist. It can be seen as the flagship of Rémy Martin, the cognac consists up to 100 different eaux-de-vies, and the age of the spirits is between 4 and 15 years. A Fine Champagne blend, which means that the distilled wine comes from the terroir of Grande Champagne and Petite Champagne - the two best crus of the Charente cognac area. The bottle also exists in 35 cl format. Couldn't agree more with Mike Knight - you'd be better off putting it in your car rather than drinking it! I have a 100cl bottle of this what's it worth? Try to find value and history of a 1977 remy martin vsop gold card bottle new in box??? Unfortunately Remy Martin have discontinued this cognac and replaced it with the Fine Cask Finish VSOP which is dreadful, like drinking petrol. The original VSOP was beautifully smooth, mellow and a real pleasurable sipping cognac. Shame. I'm busy trying to find the old stock in the frosted bottle, but think I may now have to upscale my budget and try the Remy XO. Sombody just gave me a bottle of Remy Martin vsop. Its so old it looks as if it could be from the 80's and looks different compared to the newer bottles. Is it worth anything? 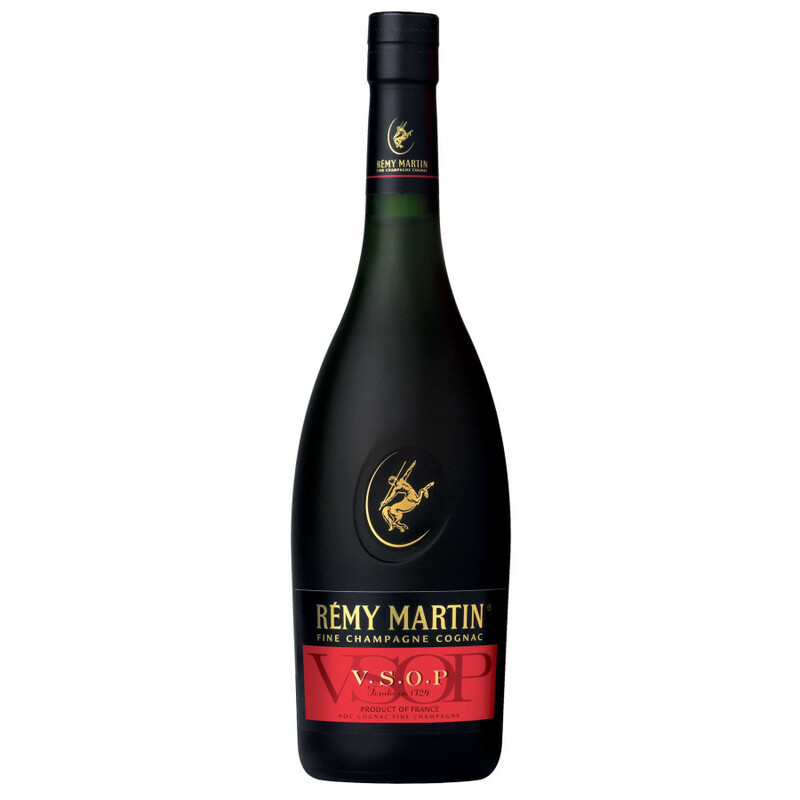 I enjoy the Remy Martin XO Excellence cognac and tried the VSOP thinking that it would be an acceptable alternative to save a little money... Well, I was wrong. I found this cognac to be very poor, suitable only for mixing. It had a nice aroma but bit the mouth and burned on the way down with no finish but alcohol. I do not recommend this to anyone who wants to sip a neat brandy for pleasure. I have a bottle of vsop but the top of the cork broke off. The bottle is pretty old. How do I know if it is still good? Hi, could I have some help from the people who know thIs product.I have a Remy Martin fine champagne V.S.O.P Depuis 1724. Gt gp a 70cl dark green bottle with a black and good label. The box is mainly black with a gold strip with a man/horse on the front. 1, is this worth keeping ie what's the value?2, if its not valuable is it a decent drink?3, if it is drinkable is it similar to normal brandy?Thanks in advance. Hello, Is Remy Martin VSOP Kosher? I am Busgeet from Mauritius, I want to buy a bottle of Remy Martin VSOP on your website. Can you please tell me the unit price and including the shipping price also? I received a bottle of Remy Martin Fine Champagne Cognac as a gift a few years ago and it got placed on a shelf saving it for a special occasion. It got forgotten about. Wondering if there is a shelf life to it. The date on the bottom of the back of the bottle if June 6, 2007.Thanks for your input. By the way, Remy Martin is doing another Cannes Film Festival special edition. They basically do that every year. This year it's golden, last year it was black/red. Combining the stars with the Remy Martin brand is quite smart, I guess. Hi Rick, it's possible that your Remy VSOP is drinkable - yes. If the corks looks good, you should just give it a try, and drink it. If you have a doubt you are drinking a 1 million dollar cognac (which is not very realistic...) , you may want to use our SUBMIT BOTTLE function, see footer below or go to 'Your Bottle' in the blog section and see what others say about older remy martin vsop bottles. what is the self life of an unopened bottle of the v.s.o.p. ? I have a unopened bottle that is 20 + years old ? is it any good, is it worth any money ? greetings! i always thought that champagnes are light. so, wath's this about vsop fine champagne cognac being 40%abv? thank you for your reply! There is no difference between the Remy VSOP and the Ice Box shots. It's the same product in a different packaging. what's the difference between remy ice shots and the normal remy vsop?